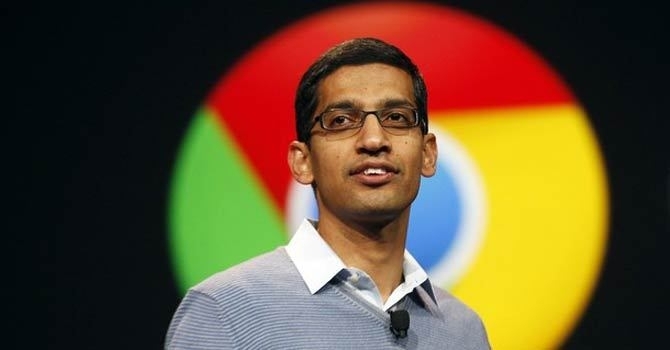 The moment, which had been long overdue, finally surfaced on 10th August 2015, when Sundar Pichai, an IIT-alumnus was announced as the new CEO of Google Minus (a slimmed down version of Google). This announcement was an outcome of re-structuring, which prompted creation of a mother company, Alphabet. Sundar has climbed up the verticals in a very short span of time. Started out at Google in 2004, when he was assigned to building the Google Toolbar, which allowed Google to be a default search engine on different browsers, the course of next few years saw him taking over Chrome, Google’s web browser. The introduction of Chrome to the world in 2008 had created waves in the tech world as tech buffs cast doubts on the capabilities of Chrome to stack up against Internet Explorer and Firefox. As the time rolled on, Sundar bagged more feathers to his cap and assumed the role of vice-president. Subsequently, he was promoted to the position of senior vice-president in the year 2013 following his expanding portfolio, when he nailed down Android into his covetous achievements. In the ensuing course of activities, he was placed into the role of Google’s product chief and he assumed the responsibility for the management of affairs of Google software products including YouTube.